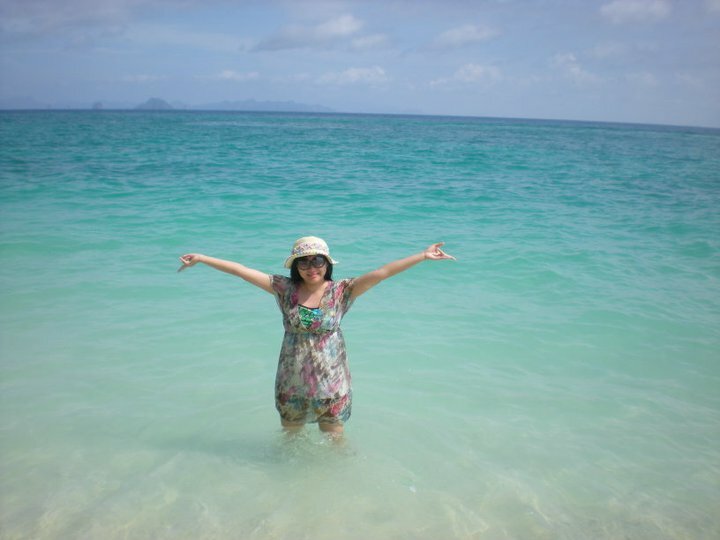 > Krabi Sightseeing and Sea Tours "Click for details"
Krabi Sightseeing and Sea Tours "Click for details"
Enjoy your leisure time by swimming and snorkeling. 13:00 Continue to Monkey Beach, Hin Klang Point for reef snorkeling. 15:30 Return back to Aonang Port, and transfer to hotel. 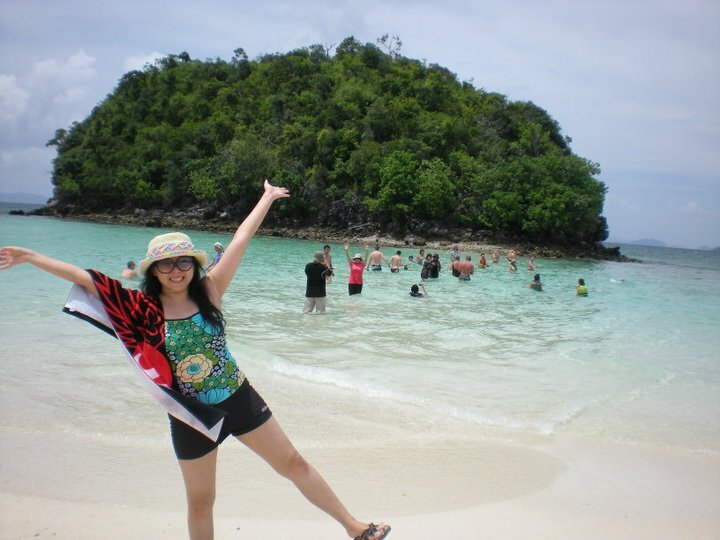 Include Snorkel gear, Guide, Lunch, Drinks, Fruits, Hotel Transfer. 08:30 Pick up from hotel to Port by bus, board a boat to visit 4 Islands Tour. 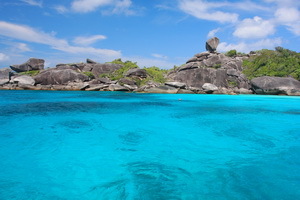 09:30 Stop over snorkeling point at Chicken Island, enjoy your snorkeling time. 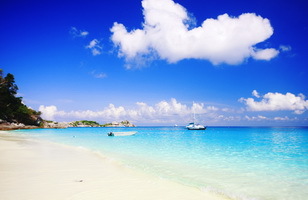 Visit Miracle Seperated Sea, swimming and relax on the sand bank. 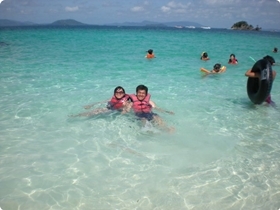 12:00 Arrive at Poda Island, swimming in the clear sea, white sand beach. Lunch on island, and continue to Pranang Cave, and Railay Bay. 15:30 Return back to Aonang Port, transfer you to hotel. 15:00 Return back to Aonang Port, and transfer to your hotel. 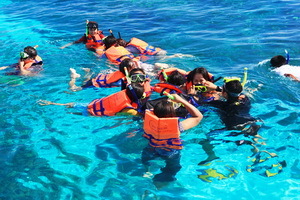 Include Snorkel gears, Guide, Lunch, Drinks, Fruits, Hotel Transfer. 17:00 Arrive your hotel in Aonang or Krabi town. 08:30 Pick up from guests from hotel by bus to Klong Thom. waterfall (40 C). Changing room and toilet are available. swimming and relaxing at the pool. 13:00 Thai lunch at restaurant, and refreshment. 14:00 Leave the forest, return to Krabi famous temple the Tiger Cave. 16:00 Transfer you to hotel. Include Hotel Transfer, National Park Fee, Lunch, Drinks, Fruits. elephant feeding time. Food for elephant is exclude. 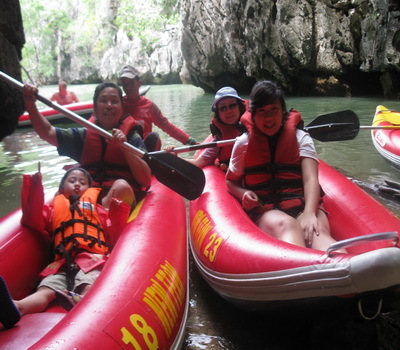 Enjoy and relax by kayak into mangrove forest, and mountain bay. human period. Then continue to secret lagoon, and sea cave. 14:00 Continue to Phu thara resort for swimming at natural fresh water from mountain. 15:00 Return to Aonang and transfer to your hotel. your leisure time and the beautiful nature. 11:30 Return back to Tha Len Bay, take shower or refreshment. 12:00 Transfer you back to hotel. 07:00 Pick up from hotel to Tub Lamu Port by Air-cond bus. 08:30 Arrive at Tub Lamu Port, take a coffee break, changing your costume and get short brief from marine guide. Board the speed boat to visit Similan Is. your swimming and snorkeling time. 12:00 Lunch at 4 th. Island, relax on the beach. 13:00 Continue to East of Eden, Barracuda Point, Christmas Point for snorkeling. 15:00 Return to port, refreshing and transfer to hotel. Bring Towel, sun block, camera, hat, T shirt, sun glass, easy shoe. 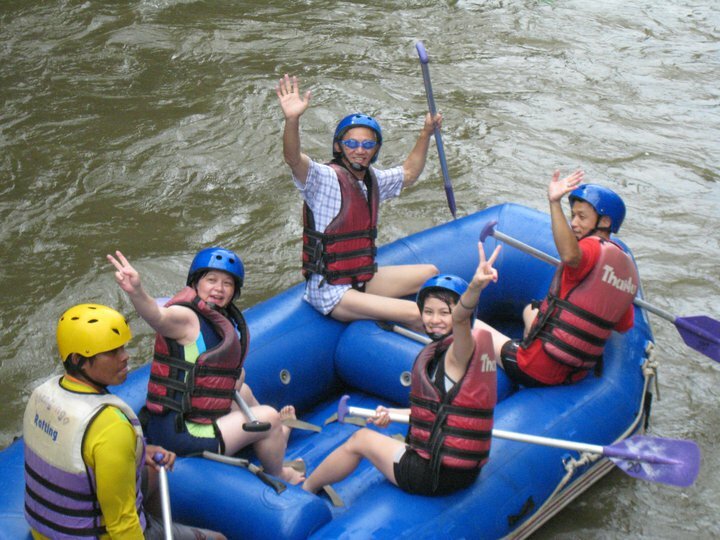 White Water Rafting 5 KMs. 08:00 Pick up from hotel to Song Prak River by air-cond bus. 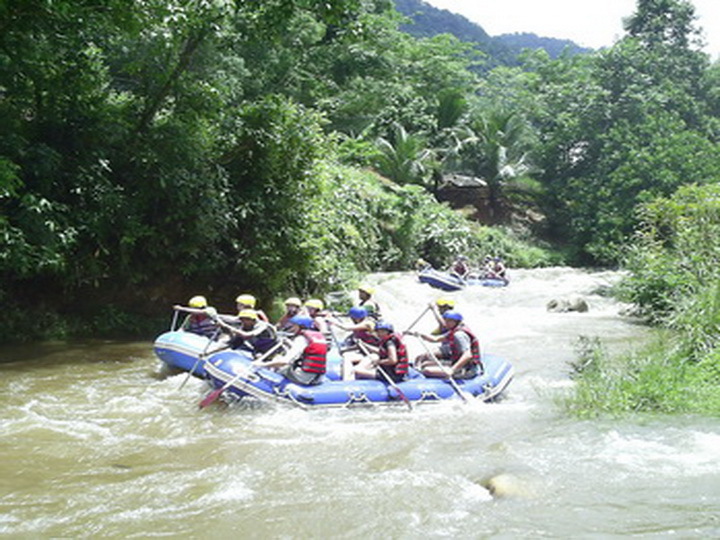 by falling down stream with full safety equipment on the inflatable boat. Excite with jumping over monster crazy water and rockery along 5 KMs. 12:30 Fall back to the Base, get refreshing, changing. Thai lunch at restaurant. 13:30 Continue to Tonpariwat waterfall for leisure time. 15:00 Return back to Base, and transfer to hotel. Include Hotel Transfer, Lunch, Drinks, Fruits, Guide, Safety Equipment. 09:30 Arrive at Sok River, boarding on the water raft to expolre to beauty of the Old Rain Forest of the Sok jungle along the river. 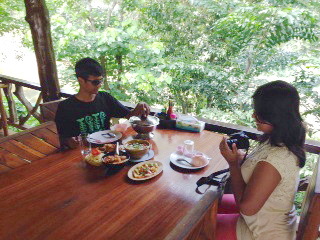 11:00 Stop at the Safari camp area for refreshing and Thai lunch serve at the river side restaurant. 12:30 Continue by car to Elephant camp at House of the Jungle Camp for elephant back ridding. 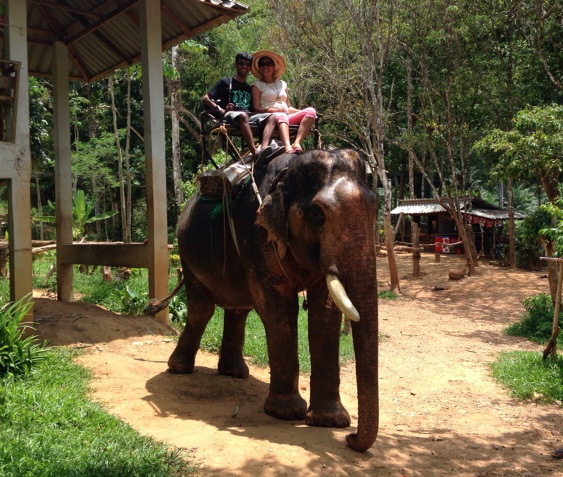 Excite with the elephant ride into to arm of the rain forest which still rich of trees and birds. 14:00 Back to the camp. Refershing and return back to Krabi. 16:00 Arrive at Krabi, transfer to your hotel. Bring Towel, sun block, camera, T shirt, sun glasses, easy shoe.